Now that spring is upon us and summer is on the horizon, it’s time to get back outside and whip your garden back into shape. It usually takes a fair bit of work to get things growing again, but why work hard when you can work smart? 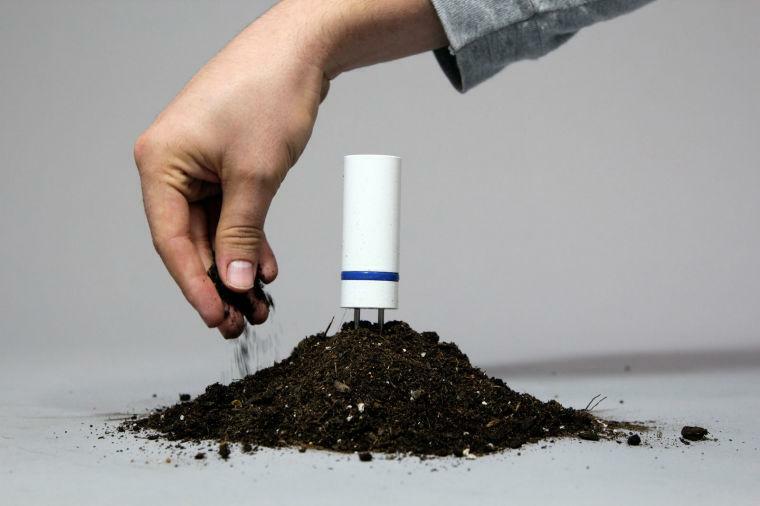 In the past couple years, a handful of new soil monitoring gizmos have hit the market. These things make gardening easier than ever, and in case you missed them, we’ve rounded a few of the best ones up to get you pointed in the right direction. Born from a successful Kickstarter campaign that concluded in the first few months of 2013, PlantLink is one of the most simple and straightforward garden monitoring systems in the biz. It consists of an array of two-pronged indoor/outdoor soil sensors and a central hub you plug into your router. 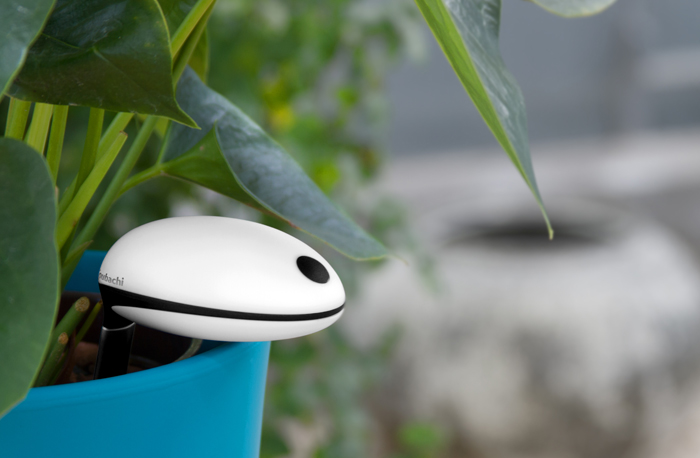 Thanks to little radios built into the sensors, they can wirelessly communicate all the data they collect to your smartphone, tablet, or PC, and give you alerts when your plants need more water. Unfortunately the sensors aren’t able to track things like pH and sunlight, but PlantLink is one of the few products in this category that’s completely wireless. Find out more here. Unlike PlantLink, EasyBloom can’t communicate data wirelessly – but it can measure a hell of a lot more. In addition to soil moisture, these little suckers can monitor sunlight, temperature, and soil chemistry. And it even looks like an ugly little alien flower, so it’ll blend in to your garden … sort of. To upload/analyze the data it collects, you’ll need to plug the sensor into your computer’s USB port, but once you do that, EasyBloom’s online dashboard can give you extremely detailed suggestions on how to best tend to your plants. Click the link above for more info. 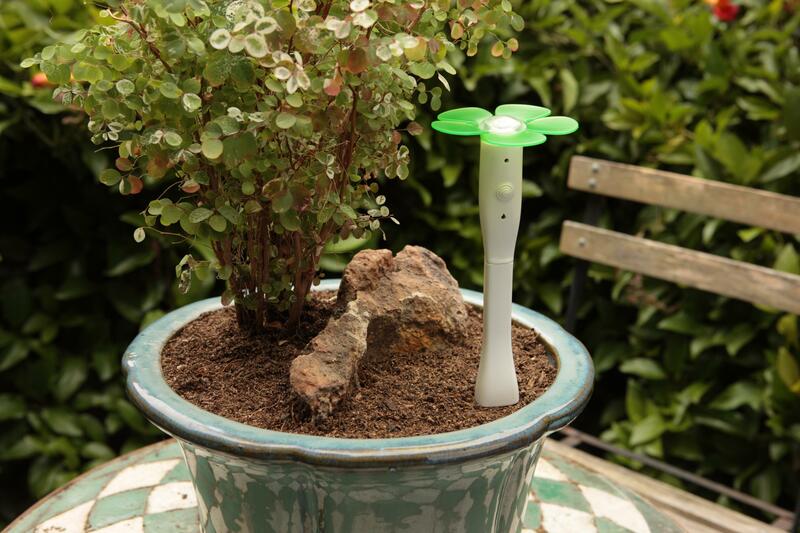 Designed by Parisian startup Parrot, FlowerPower is almost like a mixture of the previous two sensors we’ve listed here. Much like EasyBloom, this device also measures temperature, sunlight, moisture, and soil chemistry. It’s also capable of beaming data to your smartphone or PC wirelessly like PlantLink, but does so via Bluetooth rather than WiFi, which makes it more power-efficient. In terms of aesthetics, it’s designed to look like a stick, so it’ll also blend into your garden fairly well. Find out more at the link above. Koubachi is the granddaddy of the group. It’s been around for the better part of three years at this point, but don’t let its age fool you – it’s just as capable as most of the others on this list. Packed inside this badboy there sits a range of temperature sensors, sunlight sensors, humidity sensors, soil moisture sensors, and a WiFi radio to beam all that sweet, sweet plant data to your computer or mobile device. 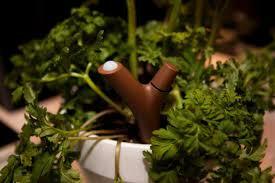 The only downside is that it looks like a golf club for garden gnomes that was designed by Apple. Which is fitting, actually, because at one point it was available in the Apple Store. Click the link above for more info.